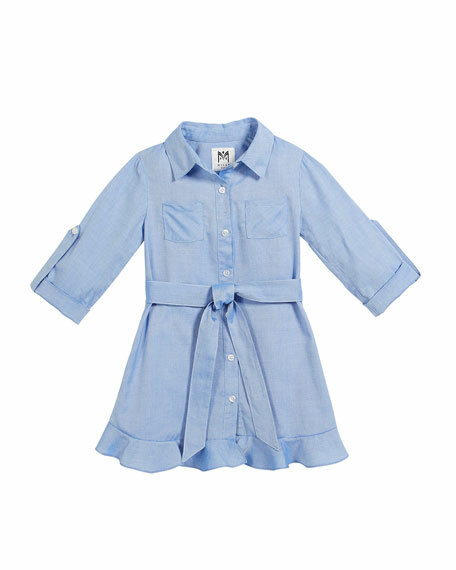 Milly Minis Oxford shirting dress in cotton. Spread collar; full button front. For in-store inquiries, use sku #2540450.